Chevys Fresh Mex is a restaurant that I’ve seen everytime we visit NYC right by Madison Square Garden. My husband and I always said we would try it and never got around to it. I didn’t even realize there were 2 New Jersey locations not too far from us in Clifton and Linden. 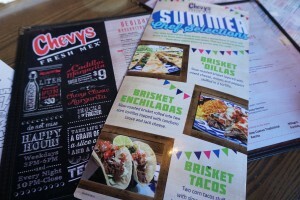 Now at these locations Chevys has introduced their new Chef Selections menu. 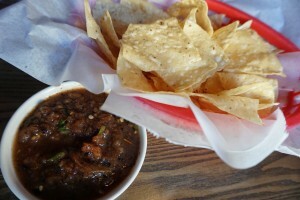 A collection of tender brisket dishes, hand-rubbed with special blend of spices by Chevys Fresh Mex chefs and then braised for hours until succulent. Adding to the presentation of their new dishes are the restaurant’s new plateware, with authentic vibrant blue pattern inspired by Mexican artisans. · Brisket ‘Dillas – Slow-roasted brisket layered with mixed cheese, onions and peppers stuffed in a tortilla. 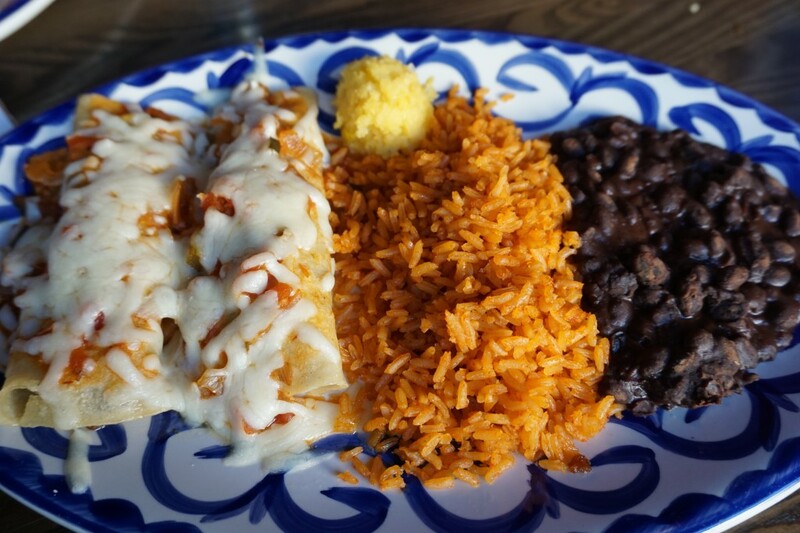 · Brisket Enchiladas – Slow-roasted brisket rolled into two corn tortillas topped with ranchero and Jack cheese. 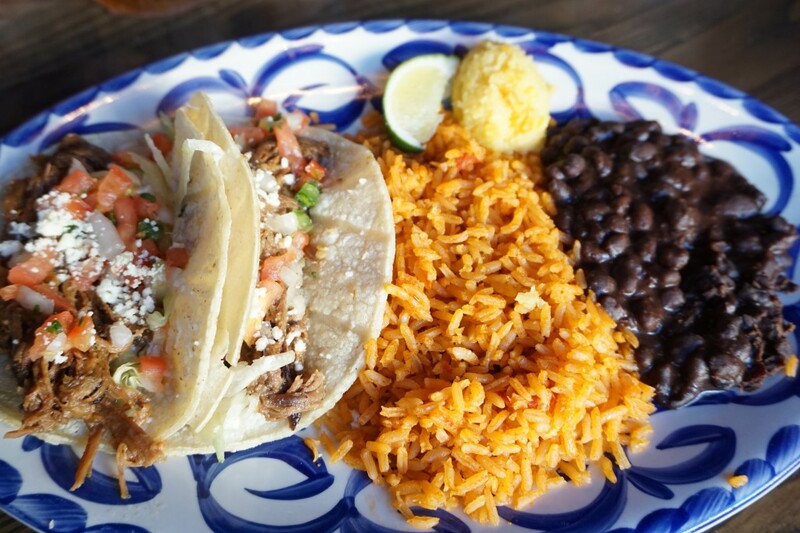 · Brisket Tacos – Two corn tacos stuffed with slow-roasted brisket, homemade slaw, pico de gallo and cotija cheese. 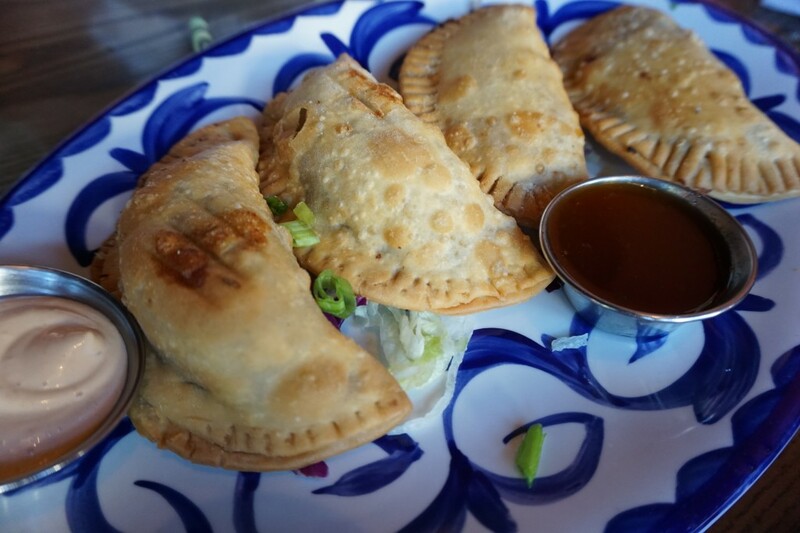 To further refresh the menu, Chevys has added flavorful new options to its array of Fresh Mex favorite mainstays, including its brand new Empanadas – flaky pastries filled with cheese and seasoned beef or chicken, fried until golden brown, and served with jalapeno jelly and chipotle aioli – the perfect starter to a tasty meal. I’ve included the full press release below on the new Chef Selections and main menu additions for reference. During our recent visit to the Linden, NJ location. I was immediately intrigued by the decor, especially the beer bottle chandeliers. A snapworthy site! 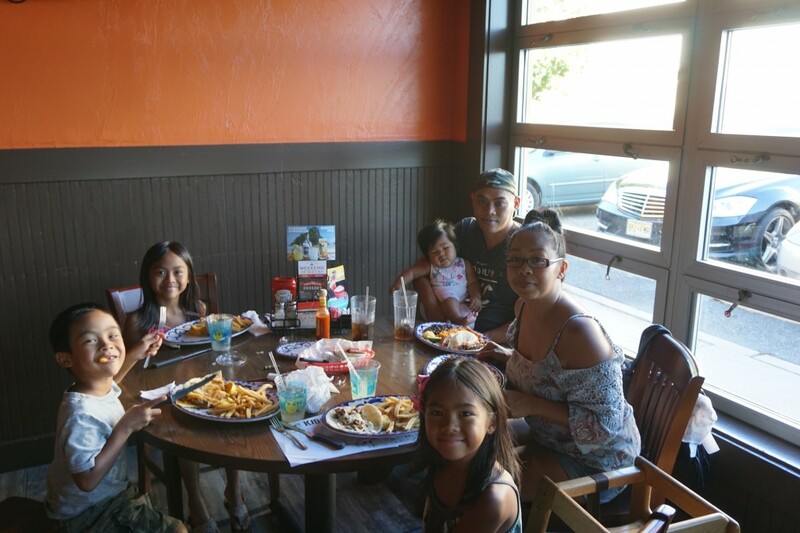 While waiting for our appetizers, my kids, husband and I chowed down on never ending tortilla chips and salsa…well we had 3 baskets full and probably would have asked for more. Next up, appetizers! We chose to get buffalo wings and their New Empanadas. Since we couldn’t decide with beef or chicken, our server recommended to try both and we were so happy we did. This picture does not even do justice for the amazing flavor of the meat, tasty dough and delicious sauces that it came with. I could just eat a plate of this on my own for a main entree. While my kids each had a kids meal, I must say the portion size was so huge that we had leftovers to take home for them. Hubby and I each tried one of the new brisket items on their menu. I had the brisket enchiladas and he had the brisket tacos. I have to mention that their new plateware was stunning, it added so much to the overall experience and gave it such a beautiful flare and made for a great foodie pic too! The portions again were big for me at least and hubby and I chose to share since we had 2 of each on our plates. They both came with rice, beans and cornmeal. The brisket was tender and tasty and overall both satisfying dishes and no leftovers to take home because we finished it all in minutes. Last but not least…dessert. 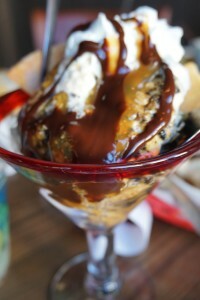 Fried.Oreo.Sundae. Enough said. Final impressions of our first visit? WE WILL BE BACK! Check out our Daily Vlog of our entire Chevys experience! MUST BE 18YRS OR OLDER TO ENTER. 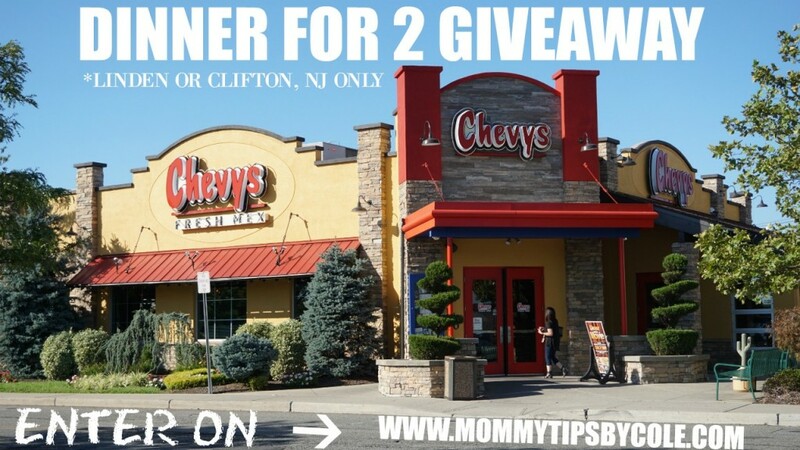 DINNER FOR 2 GIVEAWAY ONLY VALID IN CLIFTON, NJ OR LINDEN, NJ LOCATIONS ONLY. GIVEAWAY WILL END IN 1 WEEK ON SEPTEMBER 1ST, 2016 AND CONTACTED DIRECTLY. 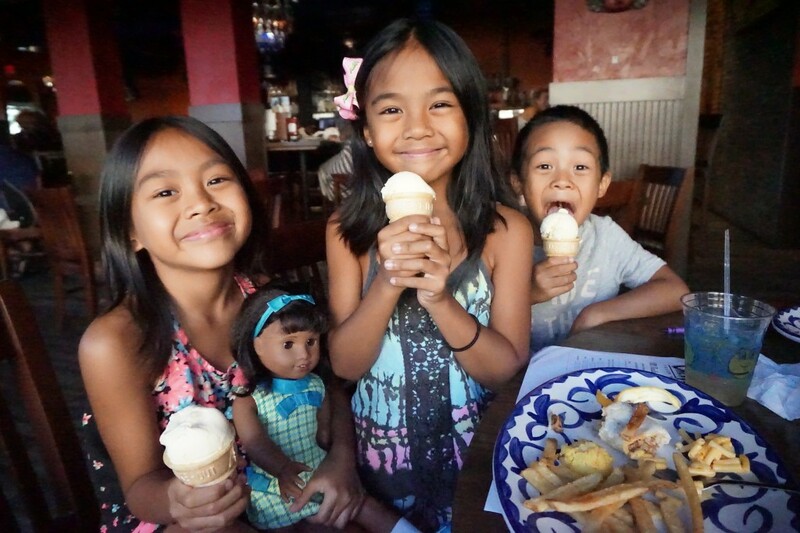 One Response to "Chevys Fresh Mex NEW #ChefSelections & Dinner for 2 #giveaway"